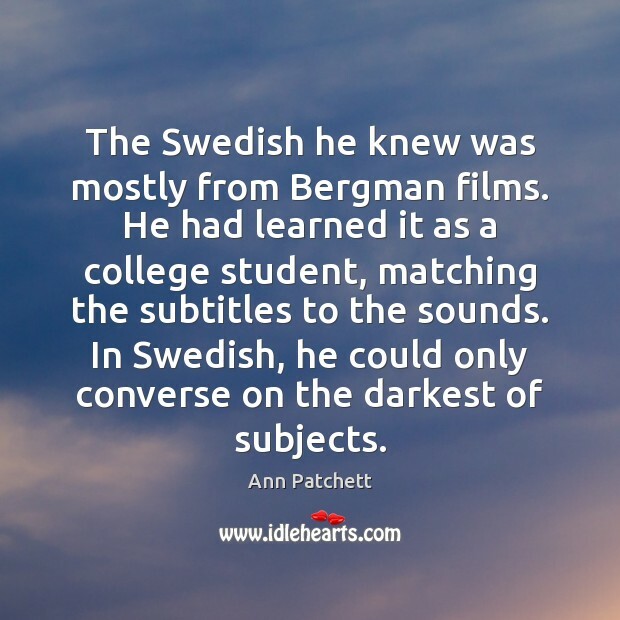 Quotations about Bergman. Quotes to stimulate mind and drive action! Use the words and quote images to feed your brain inspiring things daily! 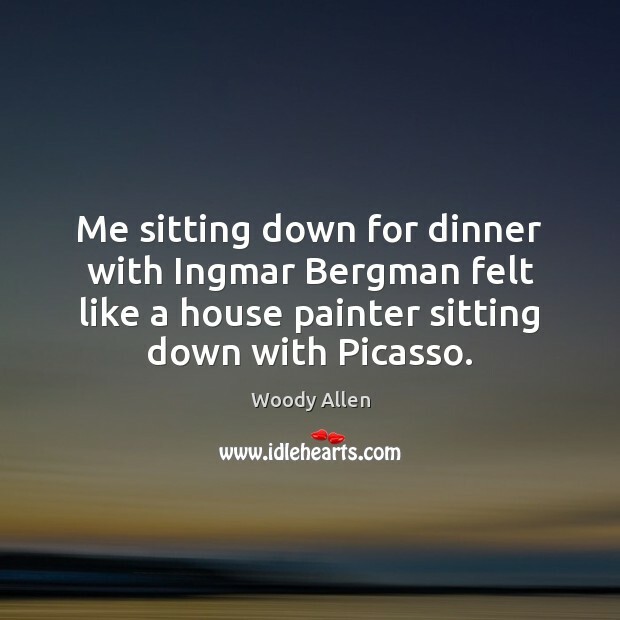 Me sitting down for dinner with Ingmar Bergman felt like a house painter sitting down with Picasso. 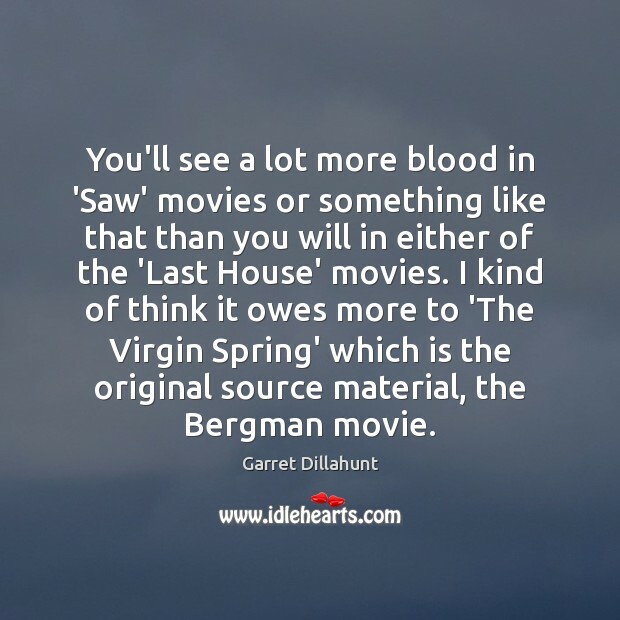 You'll see a lot more blood in 'Saw' movies or something like that than you will in either of the 'Last House' movies. I kind of think it owes more to 'The Virgin Spring' which is the original source material, the Bergman movie. 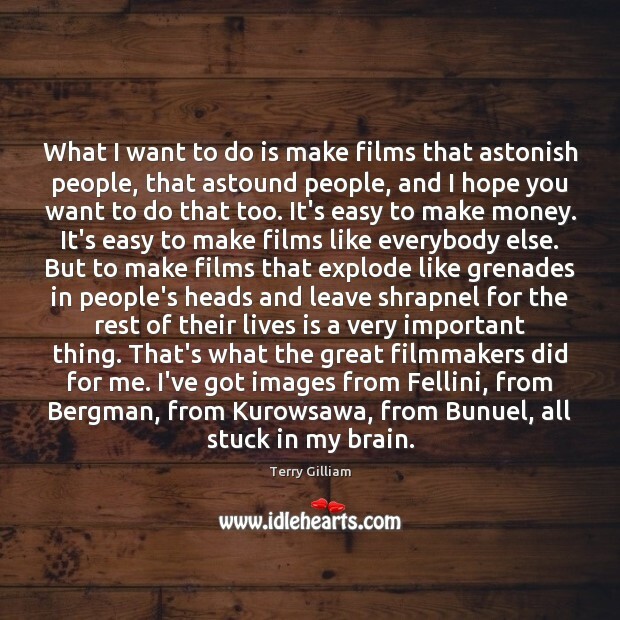 What I want to do is make films that astonish people, that astound people, and I hope you want to do that too. It's easy to make money. It's easy to make films like everybody else. But to make films that explode like grenades in people's heads and leave shrapnel for the rest of their lives is a very important thing. That's what the great filmmakers did for me. I've got images from Fellini, from Bergman, from Kurowsawa, from Bunuel, all stuck in my brain. 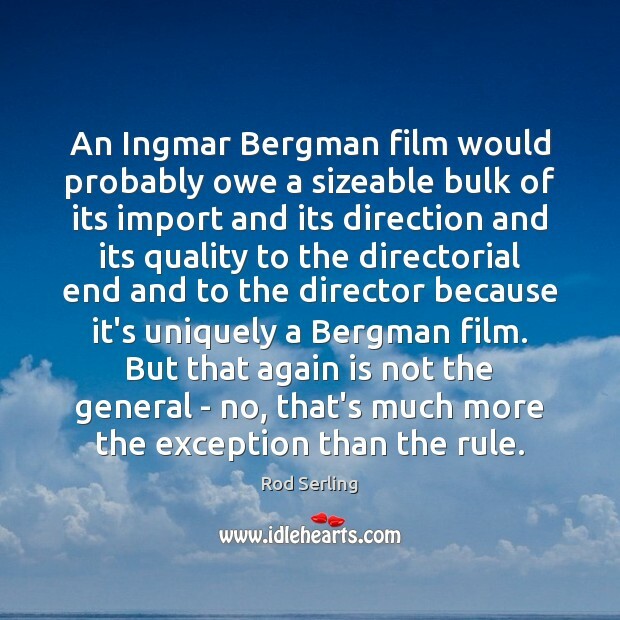 An Ingmar Bergman film would probably owe a sizeable bulk of its import and its direction and its quality to the directorial end and to the director because it's uniquely a Bergman film. But that again is not the general - no, that's much more the exception than the rule. 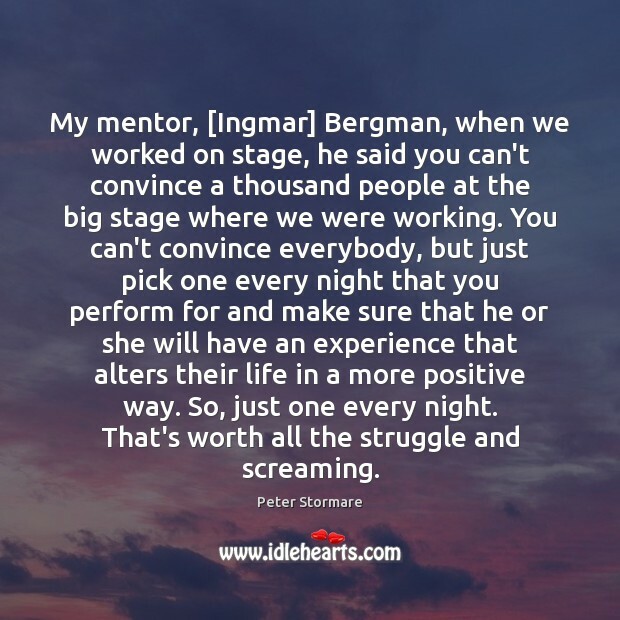 My mentor, [Ingmar] Bergman, when we worked on stage, he said you can't convince a thousand people at the big stage where we were working. You can't convince everybody, but just pick one every night that you perform for and make sure that he or she will have an experience that alters their life in a more positive way. So, just one every night. That's worth all the struggle and screaming. 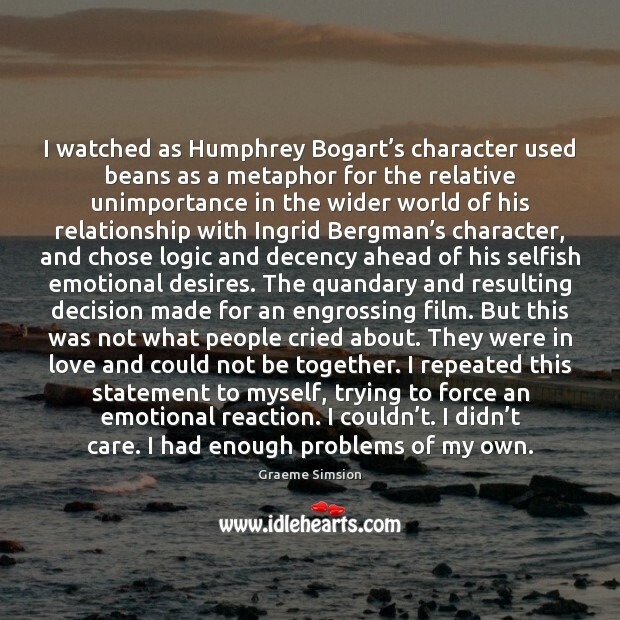 I watched as Humphrey Bogart’s character used beans as a metaphor for the relative unimportance in the wider world of his relationship with Ingrid Bergman’s character, and chose logic and decency ahead of his selfish emotional desires. The quandary and resulting decision made for an engrossing film. But this was not what people cried about. 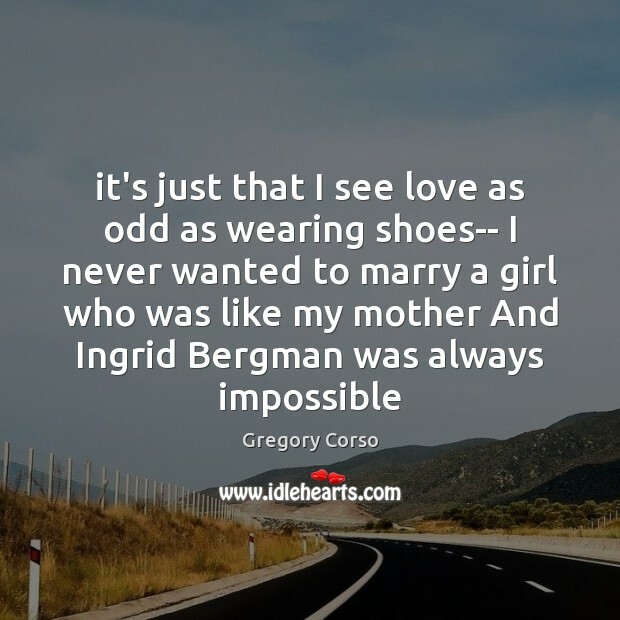 They were in love and could not be together. I repeated this statement to myself, trying to force an emotional reaction. I couldn’t. I didn’t care. I had enough problems of my own. I've never felt Truth was Beauty. Never. I've always felt that people can't take too much reality. 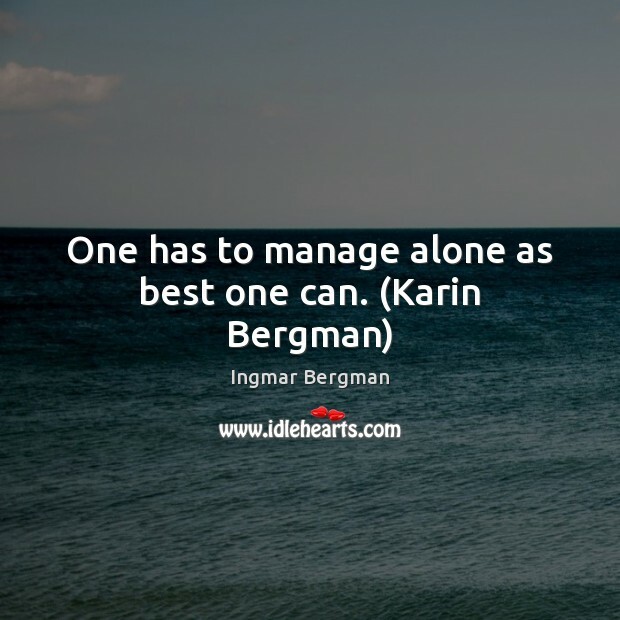 I like being in Ingmar Bergman's world. Or in Louis Armstrong's world. Or in the world of the New York Knicks. Because it's not this world. You spend your whole life searching for a way out. You just get an overdose of reality, you know, and it's a terrible thing. 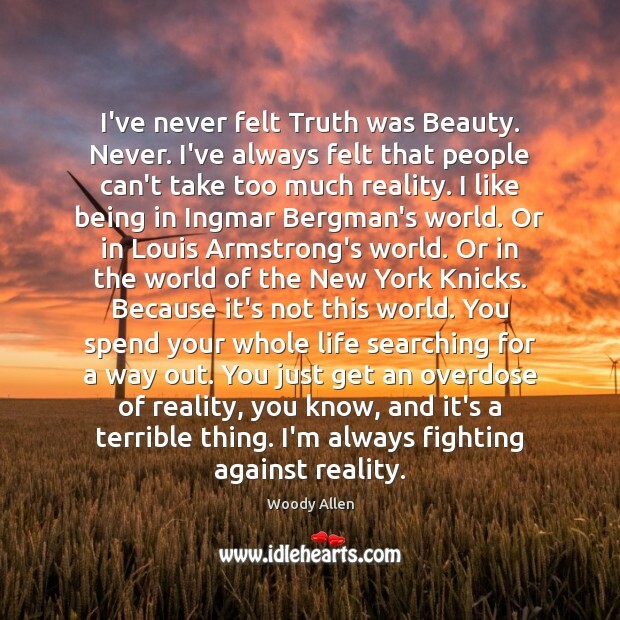 I'm always fighting against reality. Besides my professional goals, I have a couple of private ones, my man. One of those is to pet a kangaroo before I leave Australia. I understand there's lots of Eastern Grays around this area. What do you say? Are you in?' Bergman looked at him like he'd just made the worst financial investment of his life. 'Kangaroos are wild animals. I've heard they claw like girl fighters and kick like jackhammers. You're going to get your skull crushed.' Cole held up a finger. 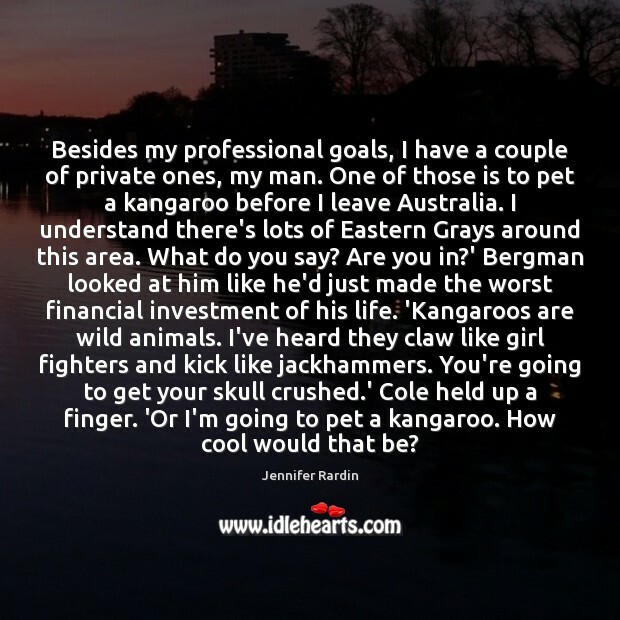 'Or I'm going to pet a kangaroo. How cool would that be? 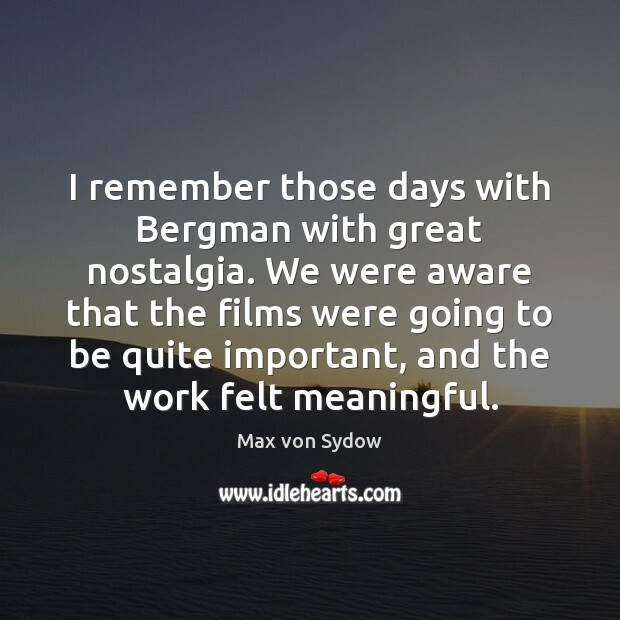 When I was first exposed to the films of Ingmar Bergman, I found them frank and disturbing portraits of the world we live in, but that was not something that displeased me. They were beautiful. 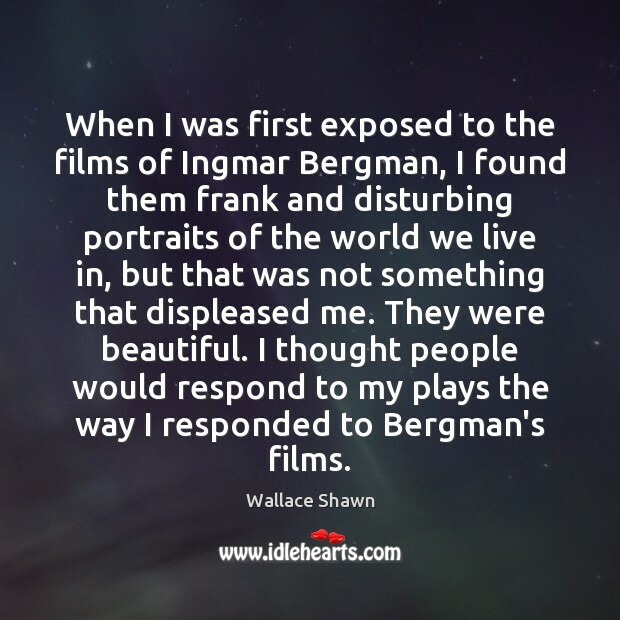 I thought people would respond to my plays the way I responded to Bergman's films. 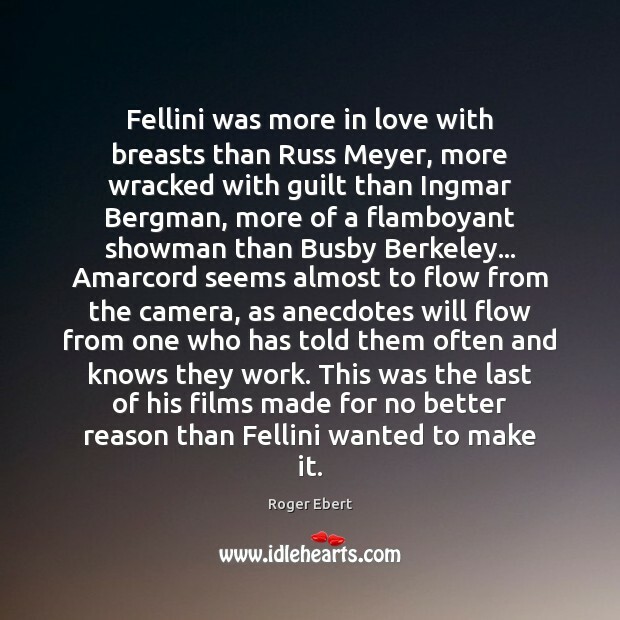 Fellini was more in love with breasts than Russ Meyer, more wracked with guilt than Ingmar Bergman, more of a flamboyant showman than Busby Berkeley... Amarcord seems almost to flow from the camera, as anecdotes will flow from one who has told them often and knows they work. This was the last of his films made for no better reason than Fellini wanted to make it. 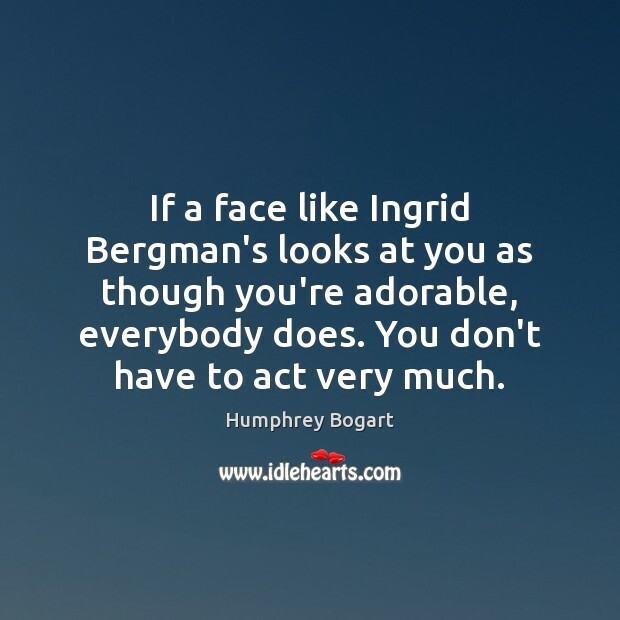 If a face like Ingrid Bergman's looks at you as though you're adorable, everybody does. You don't have to act very much. 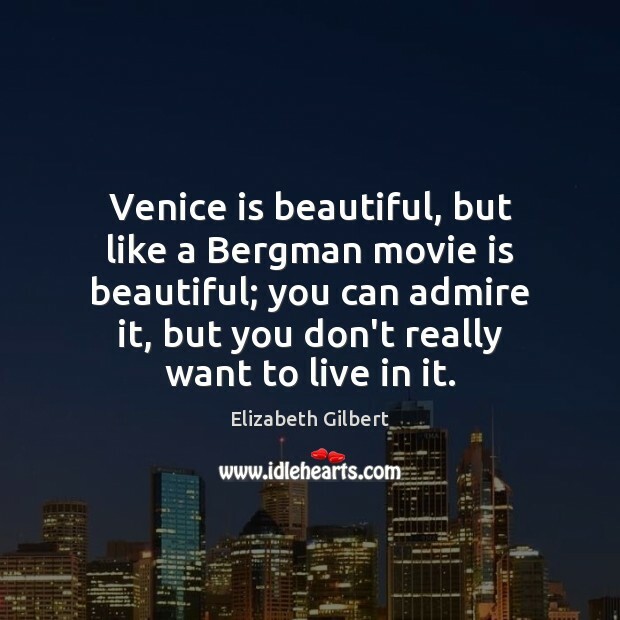 Venice is beautiful, but like a Bergman movie is beautiful; you can admire it, but you don't really want to live in it. 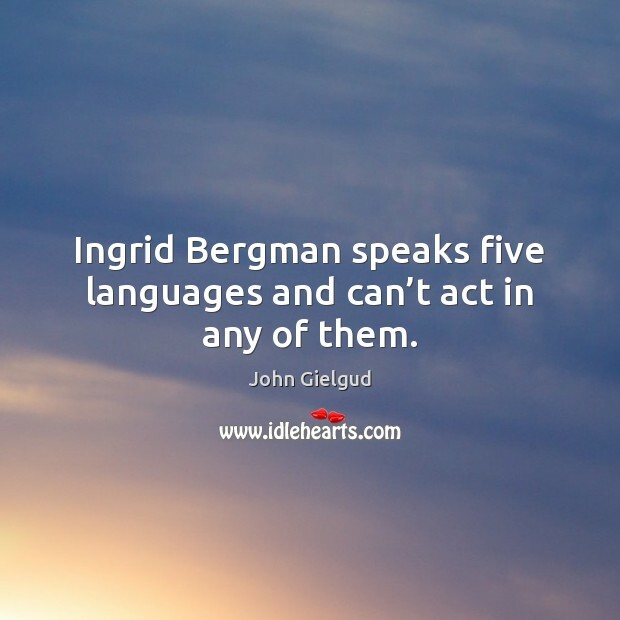 Ingrid Bergman speaks five languages and can’t act in any of them.